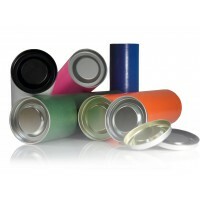 We manufacture and hold in stock a wide range of coloured postal tubes in our Coventry warehouse. Our colour postage tubes come in red, orange, yellow, green, blue, purple, black, white and leatherette. Colour Postal Tubes can also be manufactured to specification if we do not stock the colour tubes you require (simply call us on 02476 422 000). Our shipping tubes are also known as coloured poster tubes and can be used for posting a wide range of poster and art prints. 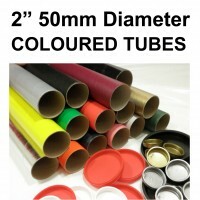 Below is a list of our colour postal tubes, sorted by diameter. - First select the diameter of tube that you require (either 2” (50mm) or 3” (76mm) diameter). - Then select a length. - Then choose how many you would like. - You will then be able to choose which colour you would like the tubes to be. In the worst case scenarios, coloured tubes can take up to 10 working days. Although they are likely to be ready well before.